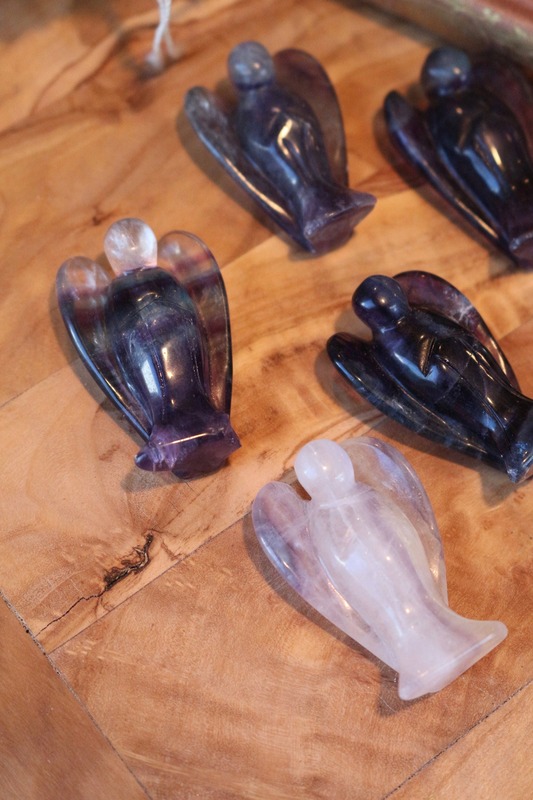 Hand-carved Fluorite Crystal Pocket Angels. 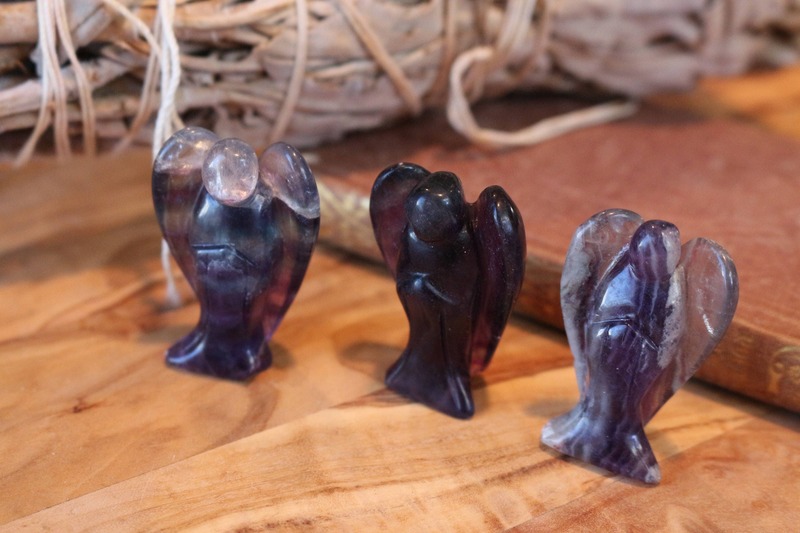 Lovely as gifts, each Fluorite Angel is unique and vary in color. 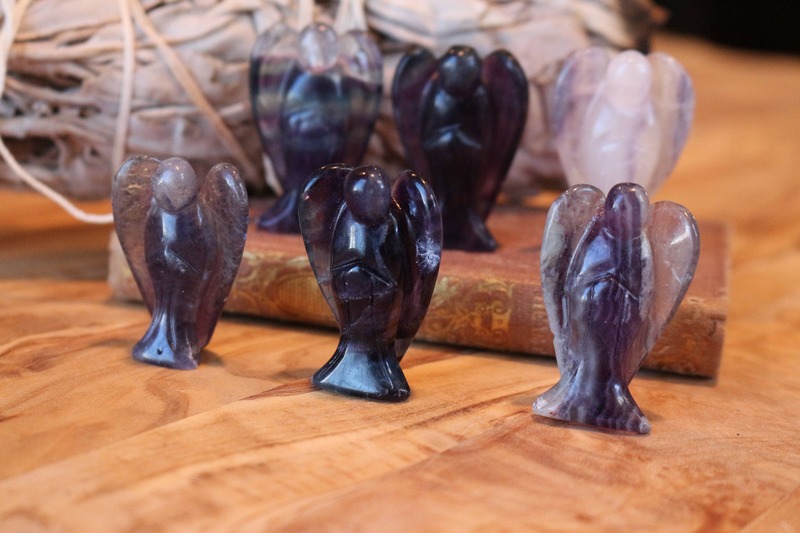 They are free standing but also perfect to carry in your pocket as a "Guardian Angel" or Talisman. 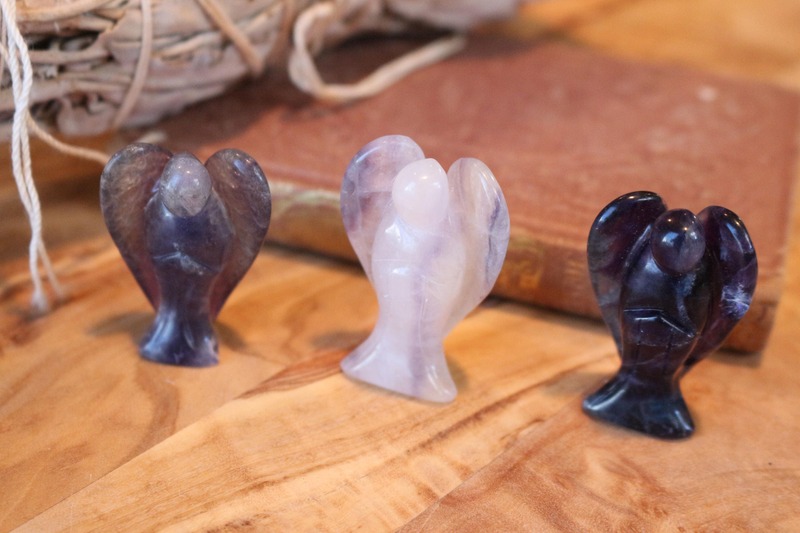 Each Angel is free standing but also perfect to carry in your pocket as a "Guardian Angel" or Talisman. If you have a preference in color, please mention in the "notes" section during the checkout process, otherwise, we would be happy to select one for you. Angels represent God in a more worldly form. Angels bring the vastness of God and put it in a package we as human beings can relate to much better. They embody some of the greatest qualities of God such as compassion, love, understanding, contentment, and peace. Angels bring these beautiful qualities down to earth. They are like messengers from God sent to bring us special things. Angels have the ability to be the "in-between'" beings, able to communicate with both humans and the very subtle energies of creation. 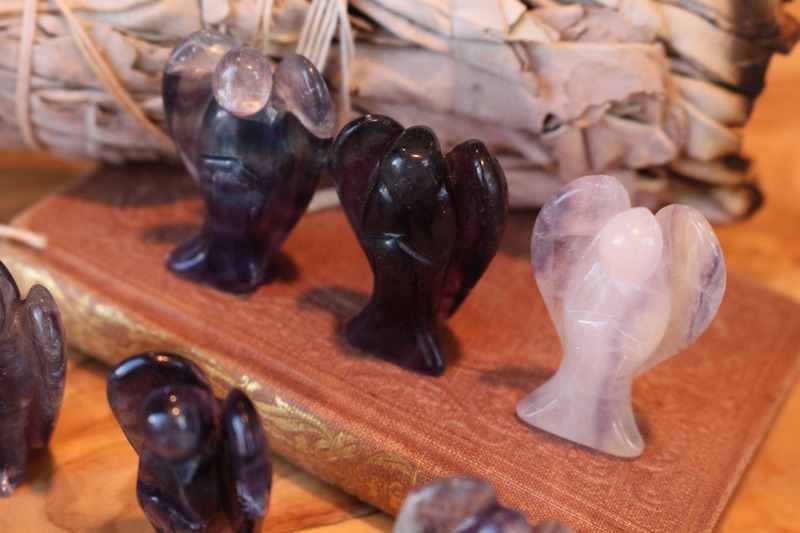 To carry or wear an angel symbol brings to mind the idea of service. To be of service to others and to the greater good of yourself and others. Rainbow Fluorite is useful when struggling to get over a toxic relationship or after falling for the wrong person. Rainbow Fluorite helps to clear away harmful emotional debris and align the heart with the wisdom of the mind. 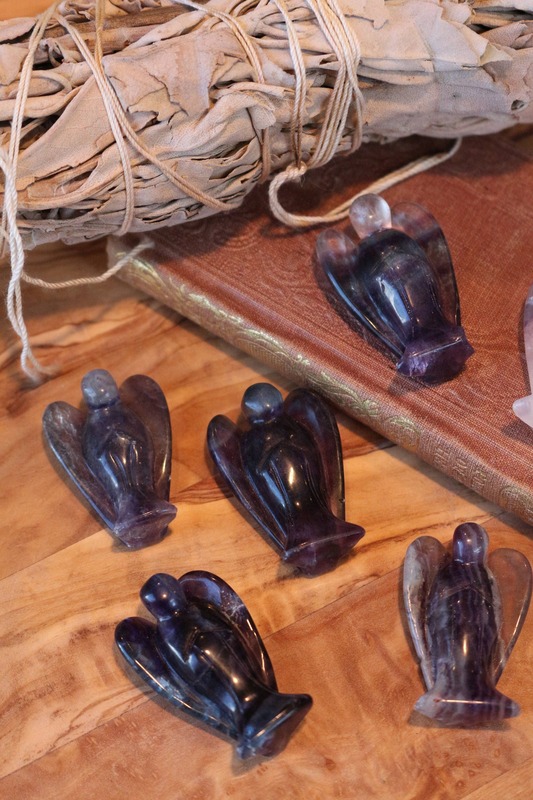 Many claim Rainbow Fluorite helps to calm and sooth the entire body, mind, body and, spirt. It clears away unwanted thoughts and sadness. It is an excellent choice for when one finds it difficult to settle into a genuine meditative state during meditation. 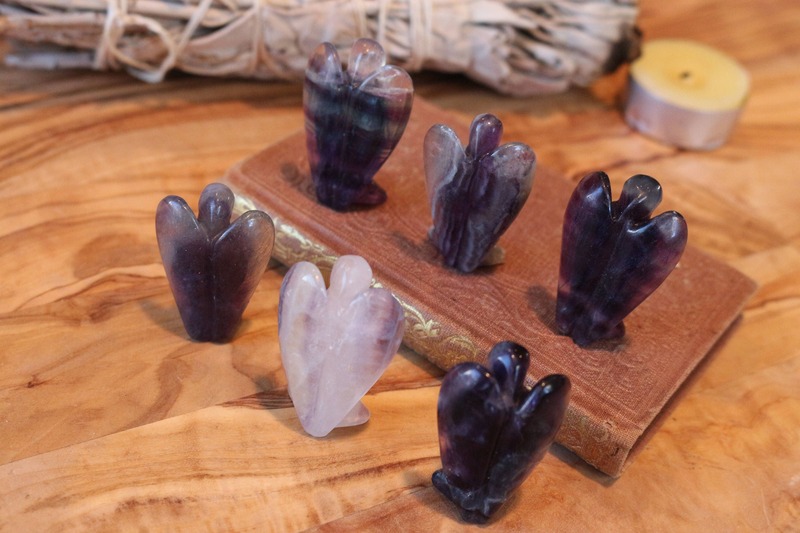 Rainbow Fluorite is an excellent stone to use after a stressful day. A collective meditation method is to hold a piece in each hand during meditation and felt the stresses of the day genuinely just wash away. 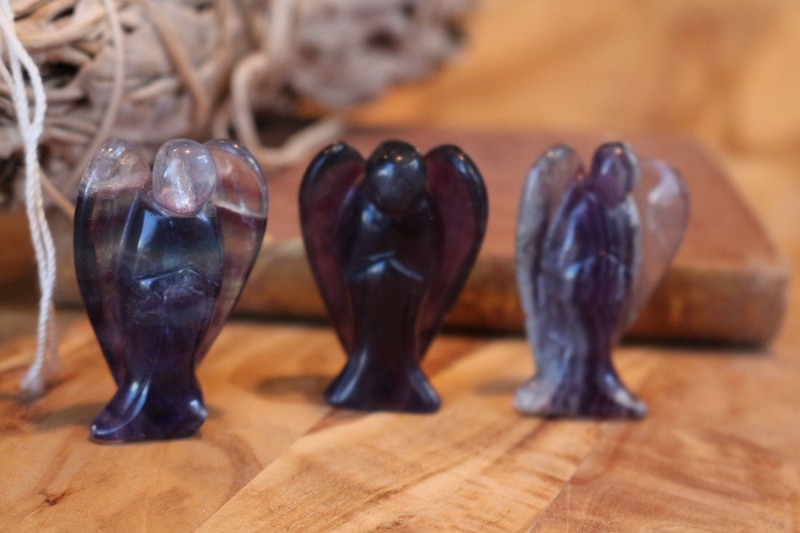 Rainbow Fluorite is associated with the Heart, Throat and Crown Chakras.